© 2002 Media Asia Films − All right reserved. 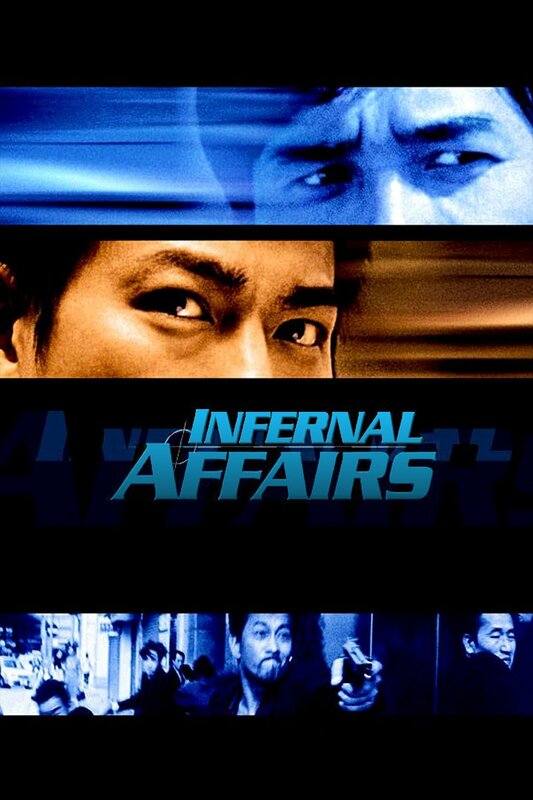 Andrew Lau (no new-comer to the FEFF, having shown many films in earlier editions) and Alan Mak (the co-writer of the wonderful but rarely seen film-noir A War Named Desire) are the co-directors of Infernal Affairs. This is an urban action film, highly acclaimed by national audiences. It is good to note its success as it recalls feelings and mechanisms now seemingly lost, which characterized the Hong Kong cinema industry at its peak. The alchemy of story-telling, mise-en-scène and moral severity about mankind and life comes back with new strength – supported by a really noteworthy cast. Andy Lau (getting better as time goes on) and Tony Leung Chiu-wai once again show their stature as great actors. Anthony Wong, one of the all-time best Hong Kong actors, and Eric Tsang, with his extraordinarily eclectic face (unforgettable in Metade Fumaca, FEFF 2000) land the best roles for themselves. The young actors Edison Chen and Sammy Cheng are, however, not to be overlooked. Ming (Lau) is a cop who plays dirty – he is the informer for an important drug ring boss (Tsang). Yan (Leung Chiu-wai), a gangster who is actually a cop, also plays a double game. He keeps his own boss, Wong, constantly up-dated on the moves of the criminals. Little by little the tension builds up into a feeling of claustrophobia – the chances of manoeuvre thin out, leading up to the final shake-down. 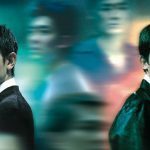 Infernal Affairs follows well trodden paths, but Alan Mak and Felix Chong’s script manages to outline the characters clearly and build up the drama with great suspense and confidence. The directors build wonderfully articulated sequences – as seen in the opening scenes with the interception of a drug deal, a scene which is repeated continually. If there is one thing which is out of place, it is perhaps the ending – an ending which makes everything more or less turn out alright (some time ago an ending like this would never have been contemplated in Hong Kong cinema). There is, however, an alternative ending. You can find this hastier but not less disappointing ending in the DVD version. However, the ending in no way detracts from the quality of the film itself: it is one of the best Hong Kong police films recently made. Infernal Affairs was remade by Martin Scorsese in 2006 as The Departed, which went on to win the Academy Award for Best Picture. 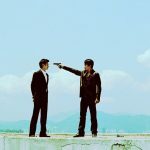 Infernal Affairs focuses on a police officer named Chan Wing-yan, who goes undercover into a triad, and a triad member Lau Kin-ming, who infiltrates the Hong Kong Police Force. Each mole has been planted by the rival organisation to gain an advantage in intelligence over the other side. The more the moles become involved in their undercover lives, the more issues they have to cope with. The prologue opens with the introduction of triad boss Hon Sam, who sends a number of young gangsters to the police academy as moles, among whom include a young Lau. Concurrently, a young Chan joins the police force but is seemingly expelled from the academy even though he manages to impress Superintendent Wong Chi-shing. In reality, Chan has become an undercover agent reporting only to Wong. 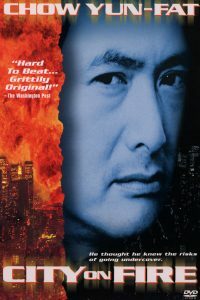 Over the course of ten years, Chan experiences great stress from his undercover work while Lau quickly rises through the ranks in the police department. 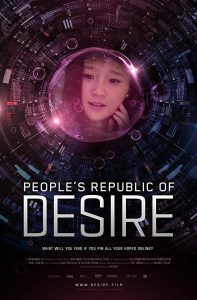 The film begins with a meeting between Chan and Lau in a hi-fi store without either of them knowing the other’s identity. Wong and his team interrupt a deal between Hon Sam and a Thai cocaine dealer after receiving a tip-off from Chan using Morse code. However, Lau alerts Hon, giving him enough time to order his minions to dispose of the cocaine, eliminating solid evidence of the drug deal. After the incident, Wong and Hon are both aware that they each have a mole within their respective organisations, placing them in a race against time to root out the other mole. Later, Chan sees Hon conversing with Lau at a cinema but does not see Lau’s face clearly; he ultimately fails to capture Lau. By this time, both Chan and Lau are struggling with their double identities – Chan starts losing faith in himself as a cop after being a gangster for ten years; Lau becomes more accustomed to the life of a police officer and he wants to erase his criminal background. At their next meeting, Wong intends to pull Chan out of undercover work for fear of his safety. They are unaware that Lau has his subordinate, CIB Inspector B, tracking him. Meanwhile, Hon sends “Crazy” Keung and other henchmen to confront them after receiving intel from Lau. Inspector B informs Lau and sends an OCTB squad to save Wong. Chan flees from the building using a crane while Wong sacrifices himself to save him by distracting Hon’s men. Wong is beaten and thrown off the roof by the gangsters. As the police close in, a shootout ensues in which several gangsters are killed. 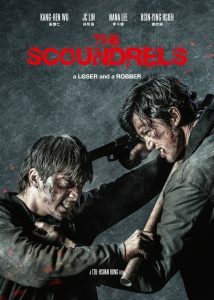 Keung drives Chan away from the scene, but later dies from a mortal gunshot wound. It is reported on the news that Keung himself was an undercover cop; Hon assumes that he was the mole and that Chan killed him to protect the triad. Lau retrieves Wong’s cell phone and contacts Chan, with both of them agreeing to foil a drug deal by Hon. The plan succeeds and many of Hon’s men are arrested, while Lau betrays Hon and kills him. 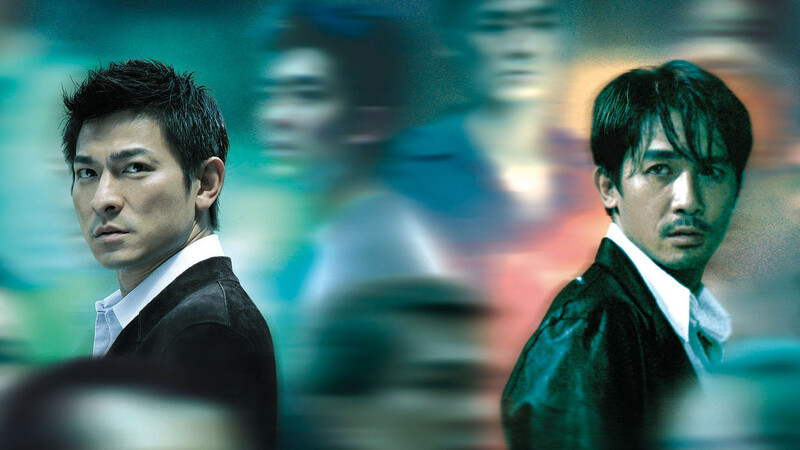 Everything seems to have returned to normal – Chan can revert to his true identity as a cop, while Lau has erased his criminal connections by eliminating Hon’s triad. However, back at police headquarters, Chan discovers that Lau was the mole and leaves immediately. Lau, realising what has happened, erases Chan’s file from the police database. Chan spends an evening with his therapist, Dr. Lee Sum-yee, with whom he has fallen in love. He sends to Lau a compact disc with a recording that Hon kept between himself and Lau; the disc is inadvertently intercepted by Lau’s girlfriend, Mary. 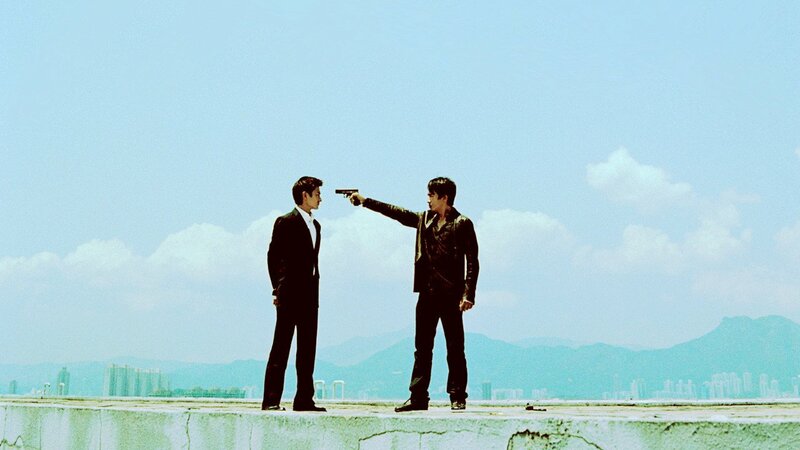 Chan and Lau meet on the same rooftop where Wong was killed earlier. Chan disarms Lau without resistance and holds a gun to Lau’s head, as a rebuke to Lau’s plea for forgiveness and request to remain as a cop. Inspector B arrives on the scene shortly and orders Chan to release Lau. Chan holds Lau as a hostage at gunpoint and backs into an elevator, but upon moving his head from behind Lau he is suddenly shot in the head by B. B then reveals to Lau that he is also a mole planted by Hon. As they take the lift down to the lobby, Lau kills B out of his desire to eradicate traces of his past, become a “good guy” cop, and end the mole hunt.